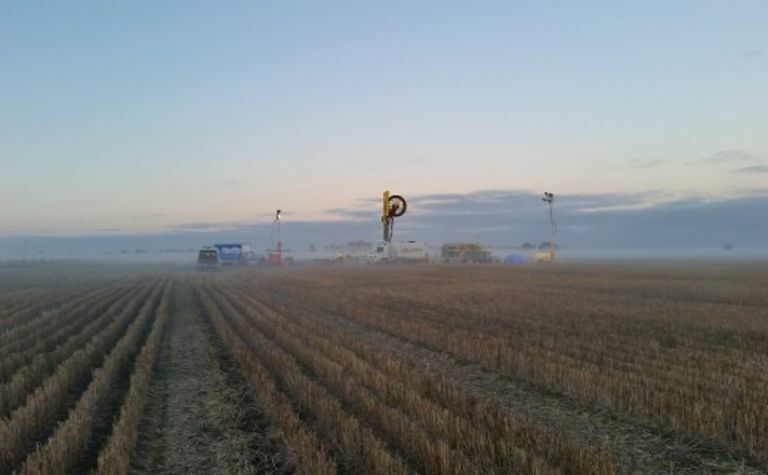 The prototype CT drill rig, developed by the Deep Exploration Technologies Cooperative Research Centre (DET CRC), underwent the trial during May and June 2017 in the Murray Basin near Horsham, Victoria, in Australia. Unlike the first trial, which took place in consolidated cover rocks near Port Augusta, South Australia, the second trial presented more challenging conditions in unconsolidated cover. DET CRC's CEO, Professor Richard Hillis, commented: "The first trial in the Gawler Craton near Port Augusta demonstrated that hard rocks could be drilled at rates approaching 100m per 12 hour shift, across multiple shifts with excellent sample returns. 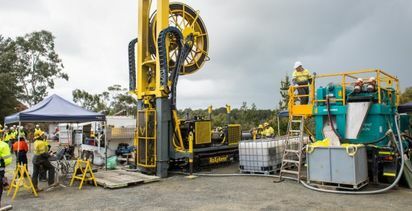 "This second trial was more challenging and showed that unconsolidated cover overlying a prospective basement, and the underlying basement, could be drilled at similar rates with the same excellent sample returns. 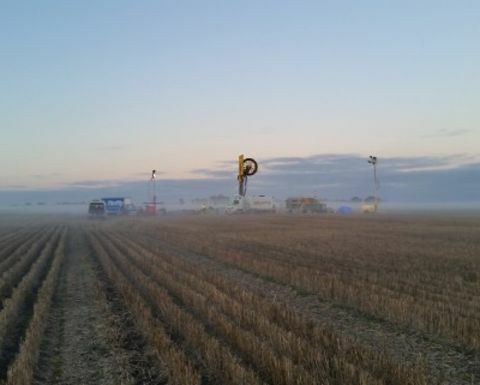 "We don't believe that the unconsolidated cover at Horsham could have been drilled by the traditional reverse-circulation (RC) method, meaning the CT rig provides the only cost-effective alternative to expensive sonic or mud rotary surface and diamond-tailed holes. 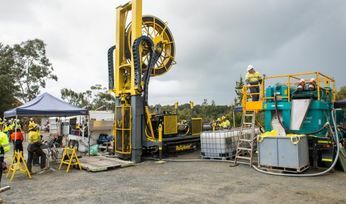 "This new technology has opened the Gawler Craton, Murray Basin and similar areas of extensive cover to ‘prospecting drilling' which will enable progressive vectoring towards concealed mineral deposits using multiple, cheap holes in a single drilling campaign, thereby opening the covered mineral exploration search space." The results of assays from the first trial near Port Augusta showed a strong match to those from diamond drill core from an adjacent hole. "The match of assays from CT rig drilling to diamond drill core from an adjacent hole is remarkable," said Hillis. "Concentrations of major and trace elements closely match those of the diamond drill core, giving no indication of sample bias or contamination. It was particularly pleasing that a narrow interval of low-grade copper enrichment at 400m depth was faithfully represented in the assay data from the CT cuttings." Coiled-tubing drilling differs from conventional drilling in that the drill string is a continuous, malleable steel coil, as opposed to being comprised of individual steel rods that must be connected and disconnected. It can drill to depths of 500m, with no rod handling required. The RoXplorer is a hybrid rig, designed for coiled-tubing drilling but capable of drilling with a top drive and conventional drill rods. It weighs o15t (including coiled-tubing drill string) and can be easily be road transported without the need for special permits. The technology is expected to be offered to DET CRC partners for licencing in September.